The Henry Girls - Come dine with us in Kilkenny on March 18th! Come dine with us in Kilkenny on March 18th! A truly unique and enchanting evening of fine food and mesmerising music awaits in the award-winning restaurant, Anocht. The Henry Girls from Co. Donegal bring something enchanting to the folk scene. Their lyrics are thoughtful, intelligent and often powerful, and the musicianship they possess is truly unique, covering a range of instruments including harp, fiddle, accordion and piano. Most notable are their bewitching three-part harmonies. This is a group who've mastered the balance of being contemporary without falling short in old-folk, rootsy charm. 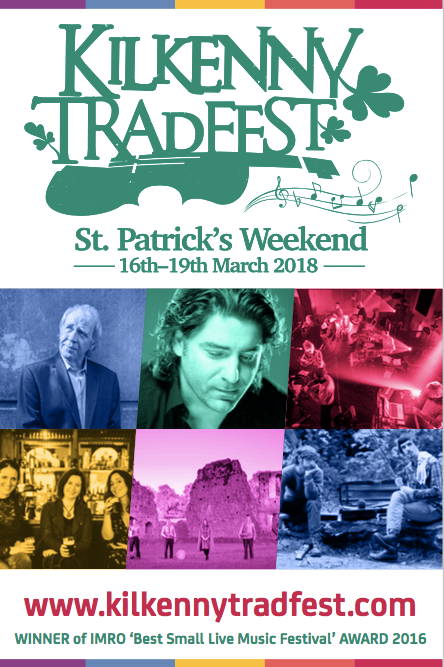 This event if part of Kilkenny Tradfest 2018.